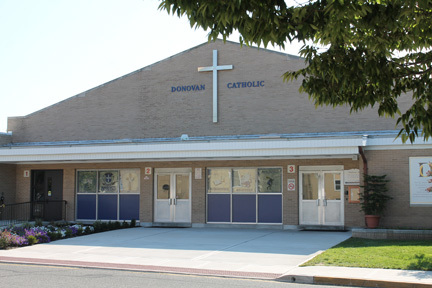 All policies, programs and initiatives of Donovan Catholic flow from the School’s Mission Statement. To that end, Donovan Catholic leaders, faculty and staff will continue to support and enrich the School’s Catholic culture by integrating Faith within the curriculum and encouraging prayer and worship as a School community. Mirroring the teachings of Pope Francis, the principles of forgiveness, love and service to others will support the School’s commitment to enriching the faith of the entire Donovan Catholic community.